Broner - Euro Design Driving Cap. 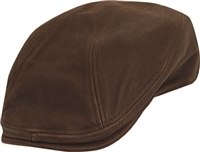 High quality genuine leather driving cap. Made in U.S.A.